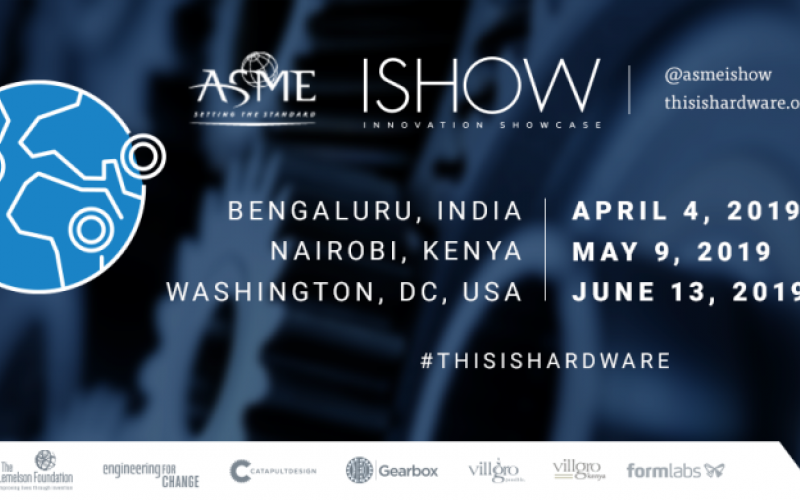 MAKERERE – The ASME Innovation Showcase (ISHOW) is back and seeking top social innovators from around the world for its 2019 annual competition. According to organizers, this global contest is open to any individual or organization interested in taking a “hardware-led social innovation” to market. Key among the conditions is that applicants should have an existing prototype and have conducted some initial user outreach. A total of US500000 (Shs1860575000) will be awarded in cash and in-kind services, which includes a cash prize of US10000 (Shs 37211500)-US50000 (Shs186057500) to each of the nine winners, based on individual need for scaling their respective hardware solution. According to organizers, hardware is hard, but the ASME ISHOW is trying to make it easier by curating resources to inform the innovators’ engineering journey. “We’ve even created a design and engineering review framework specifically for hardware led social innovation,” the organizers wrote. The organizers also in collaboration with the Ananse Group have curated a map of incubators, fab-labs, co-working centers and maker spaces. With the space, applicants can meet fellow hardware innovators and make things. Their report focuses on what differentiates an invention-based entrepreneur from traditional entrepreneurs and highlights what support invention-based entrepreneurs require, what resources are available, what ecosystem level gaps remain, and what tangible actions can be taken to fill these gaps. On engineering for change, organizers say, their mission is to prepare, educate and activate the international engineering workforce to improve the quality of life of underserved communities around the world. The team also provides resources and platforms that accelerate the development of impactful solutions and ensure public health and safety around the globe. There is a team, at Makerere University to support potential applications through the process of emerging best.